Let’s flashback to a Saturday night in 2010. After work, I roll home and watch an episode of Saturday Night Live. Sigourney Weaver is hosting, to promote Avatar and the musical act is a two-piece I’ve never heard of before: The Ting Tings? Did they like their name so much they used it twice? Anyway, they play two songs of catchy indie pop. Janging guitars, shouted vocals. “That’s not, that’s not, that’s not my name,” shouts singer Katie White while slashing chords on her guitar. Off to her right, Jules De Martino pounds a drumkit. I’m intrigued and before I know it, I see them just about everywhere. Their music is on commercials and their CD is in big display cases at the local HMV. Fast forward to 2014, when I see a beat up copy of We Started Nothing at Goodwill and think about them for the first time in years. And it certainly seems like they did start nothing, vanishing from my radar almost as quickly as they appeared. So it was a bit of a surprise when their newest release came to me here at Bearded Gentlemen Music a week or so ago: this wasn’t just a band I thought about in years, this was a band I didn’t even think was around anymore. After an explosive start to their career – they were all over the charts in 2008 – The Ting Tings sort of faded back, but kept plugging away. Their followup album Sounds From Nowhere was released in 2012, peaking at 87 on the Billboard 200. No singles from the album charted here, though. In the five years since I last paid attention to this duo, the Ting Tings haven’t really changed a lot on their latest album Super Critical. They still have a spikey pop sound: lots of catchy guitars and danceclub beats. White still shouts her lyrics, too. I guess once you’ve struck gold with a formula, it’s daunting to get away from it. I guess some things have changed. A little, anyway. On “Do It Again,” White’s delivery goes back and forth between her and a backing vocalist, sounding almost soulful at times. And throughout are little splashes of musical colour: keyboards here, a horn riff there. “Wrong Club” even has a string section! The more I listen to Super Critical, the more I’m reminded of acts like Charli XCX or Sleigh Bells. They too have a similar formula: schoolyard chant lyrics, catchy pop hooks. But they each take this same game and do something with it. On Sucker, Charli XCX takes any harsh edges off with tons of pop hooks, making an album that’s so sweetened it’s downright saccharine. And Sleigh Bells goes the other way: they invert their pop with crashing guitars, waves of feedback and maniacal drumming. 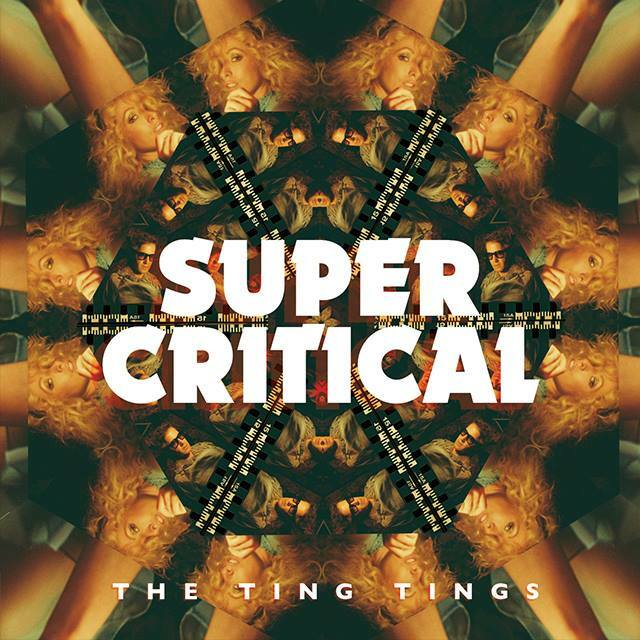 But here on Super Critical, The Ting Tings show a reluctance to deviate more than little bit from catchy-yet-unmemorable pop, with just about everything sounding like it could’ve come off either of their previous albums. Take the album’s title cut: it opens with a simple percussion pattern and White’s singing, slowly adding guitars, bass, horns, and keyboards. It sounds shinier and slicker than their debut, sure, but that’s in the production. The songwriting and playing is the same as ever. The thing is, it’s like taking an apartment with loud neighbours and freshening it up with a new coat of paint. It’ll look a lot nicer at first glance, but it’s still not a lot of fun to live in after a day or two. Or getting a burger at the new McDonalds across town: maybe it’ll look better, but a Big Mac is a Big Mac. If they still sound the same, it’s easy to think that if you really liked The Ting Tings the first time around, you’ll love Super Critical. But that’s not really how things worked for me: I enjoyed We Started Nothing back when it came out and I guess I still think it’s okay. But a little of their music goes a long way, even a good five-plus years after their breakout debut. Indeed, Super Critical sounds like a band trying to recreate their initial success. “Communication” drips a slick 80s pop vibe, while “Do It Again” just seems slick. Everything’s kind of hooky and eventually it all blurs into one formless blob. I bet you could throw this one on shuffle and have a hard time telling since just about every song has the same kind of guitar jangling, the same kind of thumping bass, and the same things all over again. 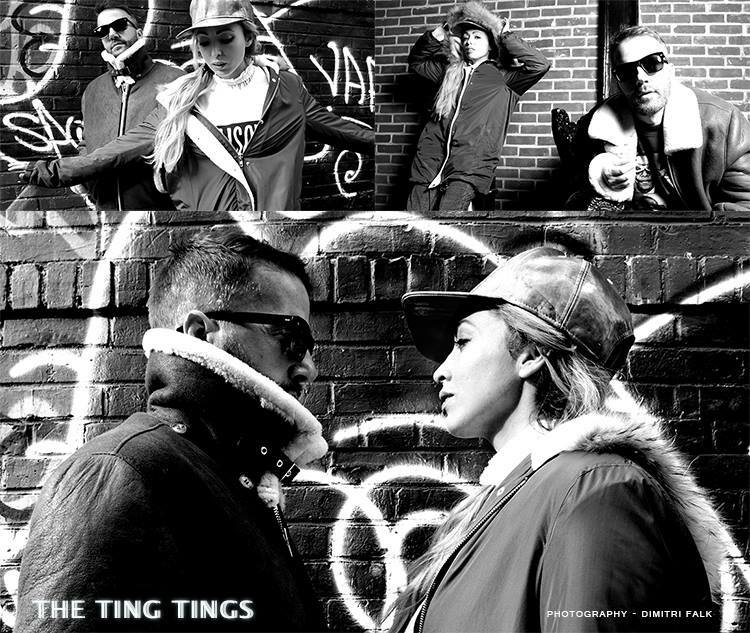 In a way, it’s too bad: until Super Critical, I wasn’t aware The Ting Tings were still around. Now, I just wonder if they’ve overstayed their welcome.